The Java 5 release also brought another twist on the linked list based questions from Java interviews, now Interviewers expects you to write a type-safe implementation of linked list using Generics. This raise difficulty level as writing a parameterized class is not easy in Java, and it requires a good understanding of Generics fundamentals like how Generics works and how to use it for creating your own type-safe class. Btw, this question also offers you an opportunity to become a better programmer, solving data structure based questions are a lot better than trying trivial examples, It not only helps to improve programming skill but also prepares you for Java interviews. Btw, if you are not familiar with the linked list data structure itself, I suggest you to first go through a comprehensive course on Data Structure and Algorithms like Data Structures and Algorithms: Deep Dive Using Java on Udemy to at least get an understanding of basic data structures like array, linked list, binary tree, hash tables, and binary search tree. That will help you a lot in solving coding problems. A linked list is a data structure which is used to store data in the form of nodes. As opposed to an array, which stores data in a contiguous memory location, linked list stores data at different places. Each node contains a data and a reference part, reference part contains an address or next node. In short linked list is a list of nodes, which are linked together. It complements array data structure by solving the problems array has like it needs contiguous memory and insertion and deletion is very difficult in an array. Instead, you can easily add or remove elements from a linked list which makes it an ideal data structure for your growing needs. If you are interested to learn more about array vs linked list data structure, please see the difference between the linked list and array in Java for more differences. In order to create a linked list in Java, we need two classes a Node and a SinglyLinkedList class which contains the address of first element and various methods to operate on a linked list. There are mainly two kinds of linked list, a Singly and Doubly linked list. The singly linked list allows you to traverse in one direction, while doubly linked list allows you to traverse in both forward and reverse direction. In this example, we will implement a singly linked list, with an append() method which inserts elements at the tail. Btw, If you are not very familiar with a linked list data structure itself or want to learn more about how linked list works and its pros and cons, you should first read a comprehensive online course on data structure and algorithms like Algorithms and Data Structures - Part 1 and 2 on Pluralsight, one of the best course to learn data structure and algorithms. I have already shared the implementation of linked list without generics in an earlier post of unit testing linked list in Java, and now we will see a type-safe, parameterized implementation of singly linked list using Generics. Here is our Java program to create your own, type-safe linked list in Java. * Type Safe implementation of linked list in Java with Generics. * isEmpty() and length() method. Now, let's create a sample program to test this linked list implementation. * to check type safety. System.out.println("Singly linked list contains : "
System.out.println("length of linked list : "
System.out.println("is this linked list empty : "
That's all on how to make a linked list in Java using Generics. As a follow-up question, Interview may ask you to implement a circular linked list or implement a doubly linked list in Java. You can also use them as an exercise to improve your coding skills. 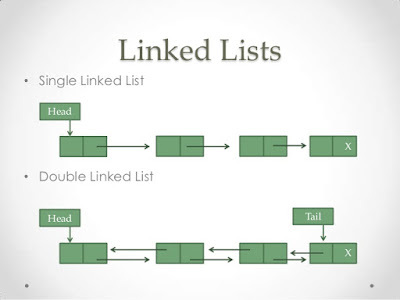 Apart from implementing a different kind of linked list, Interviewer is also interested in implementing various methods like insert a node at the start, middle and end of linked list, delete a node from the start, middle and end of linked list, sorting elements of linked list, searching a node in linked list, etc. If you have time, you can practice a lot of coding problems on the linked list here, but remember first to start with implementing a singly linked list in Java.